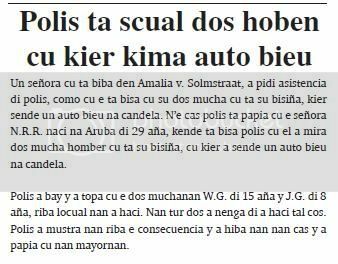 police is detene man cu owing to try happen car on police asistencia of police owing to wordo ask saturday 03.21 of madruga at bahia for one action serious, where two person owing to stay deteni. n’e sitio, testigonan is tell police cu one man in one toyota starlet cora will is envolvi in the action y cu they owing to mire throw one arm of candela in the car, after cu past owing to strike one man lague throw for of tino. the testigonan owing to show police, direccion cu the toyota owing to bay y police owing to start one an investigacion. police owing to come across cu the car y owing to cuminsa cu one persecusion. at height of pool bar, the car owing to enter in the caminda, but for his mala suerte the caminda was close cu baranca of stone. past owing to see cu police was his slow, y owing to bek y strike contra the car of police. police owing to descend for of car for pare, but past owing to send car on the police also. the persecucion owing to follow y n’e rotonde of sasaki, past owing to lose control on stuur y owing to bay on the rotonde. at once police owing to acerca the car y owing to los one tiro, debi cu they owing to achieve indicacion cu he have arm of candela, y already owing to atende contra life of one police end. police owing to succeed detene he cu owing to resulta of is j.c.b, naci at aruba of 21 year y owing to sere at keep of north. the car owing to wordo getakel for more investigacion. ORANGE CITY - The 21-year J.C.B. ends Saturday night after a wild chase arrested by the police. 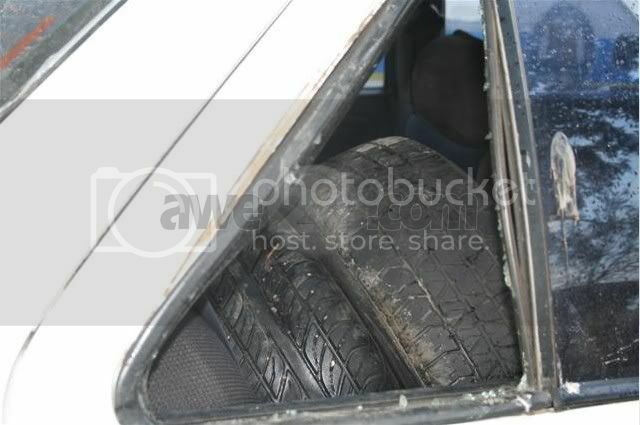 This drove the suspect until a police car and then also a few agents to drive, they must not shy to get hurt. Agents were the hotzone in Weststraat come because of a fight. These two persons were arrested. Witnesses stated that there are third person involved in the fighting was. This would anyone knock-out beaten and also in possession of firearms. According to witnesses was suspect with his car went off. After the police description of the suspect and his vehicle were, they went looking for him. The suspect was later identified by a pursuit was initiated. At one point B. rode in a dead-end street. While police cars were behind him, he rode back and ramde a patrol car. Agents which were stepped on to the madman to arrest had also suffer. They could barely escape with injuries by jumping aside when B. with his car on their afreed. Eventually the chase came to an end when the suspect lost control of his car, and the Sasaki roundabout 'parked'. Because the man was considered vuurwapengevaarlijk, the police has to work and solved it a warning shot before the man arrested. saturday madruga is enter informacion of one action fast bahia just n’e parking-lot, but one witness owing to count ; thing past owing to look at for of one distancia. cu was near of 2or past owing to premira one action by of look at one gang big stop another near of caminda fast sr. frogs, as they're wardando one person leave. at one dado instant gang owing to actuate one some more fast of bahia y owing to come come across one contricante is happen in car fast of they. eynan one discusion owing to start y action owing to cuminsa even one arm blanco owing to leave. during the action here property of person owing to being destrui, we have entendi cu more of the half of the are is of among 14 for 20 year y dress at one as very ugly. but in one rub of eye police of all caminda owing to present y hour owing to listen sirena of police the are owing to know of plama for of another, but so self the gang owing to try of huy in one van blanco but police owing to arrive blokea the van. hour police owing to controla in the van had much articulo cu more bien do you do not carga in do you car y cu is show material for fight or mihor tell as one arm blanco. hour police owing to check the paper of the van was show cu the do not at ordo eynan police owing to coy the vehiculo in beslag hibe keep for more investigacion. one sospechoso owing to being deteni for responsabiliza the posecion of armanan in the van. n’e instant ey more person owing to become aggressive by cu police is hibando one amigo. police not owing to stay nothing another of detene a more. n’e instant cu police owing to actuate behold the same gang again was busca problem just the hour two car of police was patruyando. police owing to dicidi of core cu all for they cas y owing to achieve one message cla y raspa if do you do not actuate, do you have one cuarto free in keep of police. so police owing to place ordo for so owing to calma the cayente of action at hotzone. 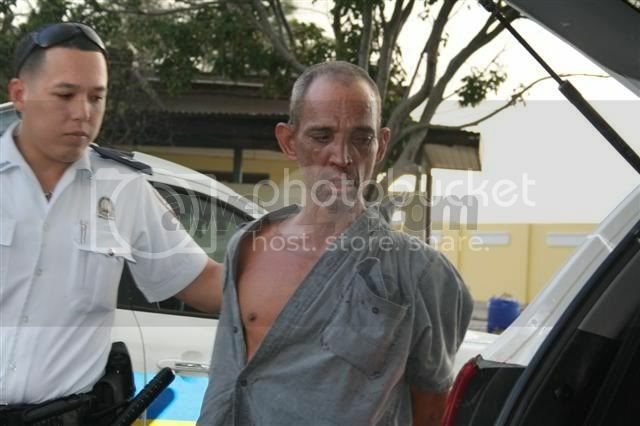 diadomingo madruga owing to enter informacion cu have one thief in one cas at bubali. at arrival of the patrol policial n’e cas already end the thief owing to core bay. but the patruyanan not owing to give up y owing to follow busca y bingo. at once they owing to succeed gare owing to base of the descripcion give. according one inhabitant female of the cas past owing to hear sonido in the cas y owing to bay throw one view at cierto instant past owing to come across cara owing to cara cu the thief. of susto the lady owing to strike one cry strong y the thief also owing to strike one cry of susto djey past owing to core bay. but is good self cu the lady owing to give one good descripcion of dje cu owing to succeed capture. the sospechoso here is one conocido of police, according we can corda one agent owing to throw on dje in his stomach, but past owing to sobrebibi. at several ocasion past owing to fight cu police, past owing to arrive of clip one police, even hinka one police y ultimamente not mucho day happen past owing to go back being captura for maltrato y menasa but already end the is afo. the polisnan owing to haye cu one vwagen y one muher was warde eyden sit, that also owing to being deteni. besides owing to come achieve 2 bag in cual had much joya y coin cu also owing to being confisca. have to remarca cu the detencion y transportacion of the sospechoso not owing to bay facil. we fotografo self can owing to hear con the sospechoso was talk fresco y was menasa the polisnan self. 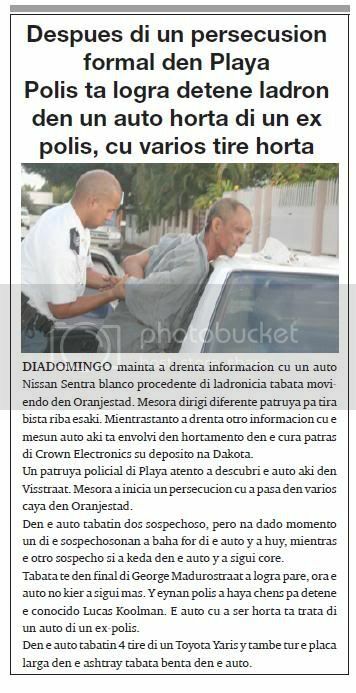 diadomingo morning owing to enter informacion cu one car nissan sentra blanco procedente of ladronicia was moviendo in oranjestad. at once dirigi various patrol for throw view on this. all the time owing to enter another informacion cu the same car here is envolvi in hortamento in the cura behind crown electronics his deposito at dakota. one patrol policial of beach attentive owing to descubri the car here in visstraat. at once owing to inicia one persecucion cu owing to happen in several caya in oranjestad. in the car had two sospechoso, but at dado instant one of the sospechosonan owing to descend for of the car y owing to huy, while the another suspicion if owing to stay in the car y owing to follow core. was till in end of george madurostraat owing to succeed pare, hour the car does not owing to follow more. y eynan police owing to achieve chens for detene the conocido lucas koolman. the car cu owing to being steal is deal of one car of one ex-polis. in the car had 4 tire of one toyota yaris y also all the coin larga in the ashtray was throw in the car. 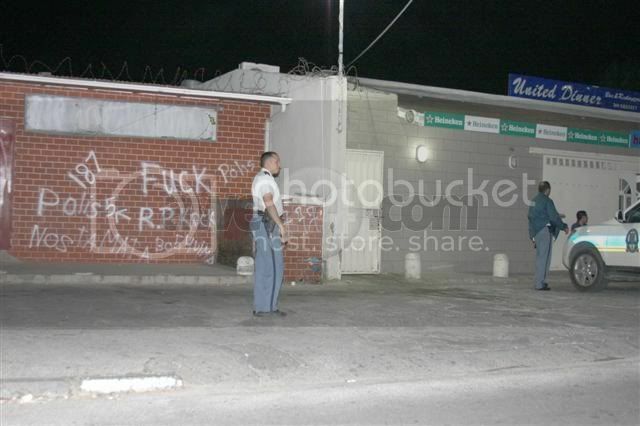 diadomingo morning during patrol, police owing to notice cu on the wall of one business in driemasterstraat have some offense y menasa dirigi at one acolyte of cuerpo policial. will is good for controla the hobennan one some more provided that extenso. here have to is deal of hobennan without none clase of educacion, for scirbi mensahenan ofensivo y menasante. if can place hand on they, let they self less esakinan. d and owing to d omi n g or morning owing to enter informacion of one car steal, cu owing to being let behind at tarabana residence. at arrival of police owing to constata cu the car was staciona at tarabana y owing to being achieve cu the yabinan in dje. police owing to confisca the vehiculo y owing to let the takelwagen of police hibe p’e seccion concerni for they haci the investigacion. 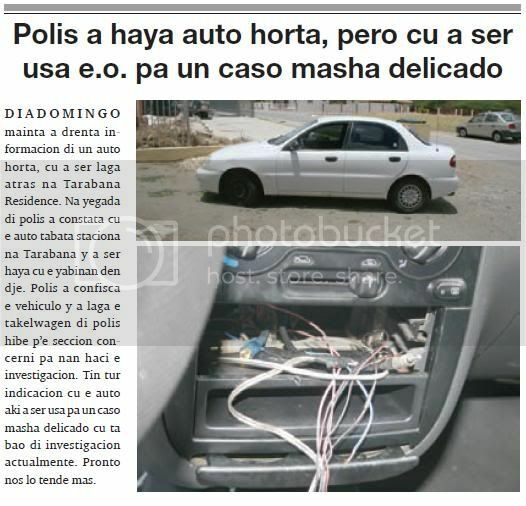 have all indicacion cu the car here owing to being using for one caso very delicado cu is bao of investigacion actualmente. soon we will hear more. one madam cu live in amalia v. solmstraat, owing to ask asistencia of police, because; cu the is tell cu his two child cu is his neighbour, wanted sende one car old at candela. n’e cas police is talk cu the madam n.r.r. naci at aruba of 29 year, that is tell police cu past owing to see two boy cu is his neighbour, cu wanted owing to sende one car old at candela. police owing to bay y owing to come across cu the two children w.g. of 15 year y j.g. of 8 year, on locual they owing to haci. they all two owing to deny of owing to haci such cos. police owing to show they on the consecuencia y owing to take away they their cas y owing to talk cu they parents. ORANGE CITY - The Curaçao comedian 'Pachi' Damon is Saturday in a traffic accident injured. His rental car was at the crossroads at Adventure Golf in Eagle in the flank by a van that ran a red light. After the collision drove the driver of the van through. 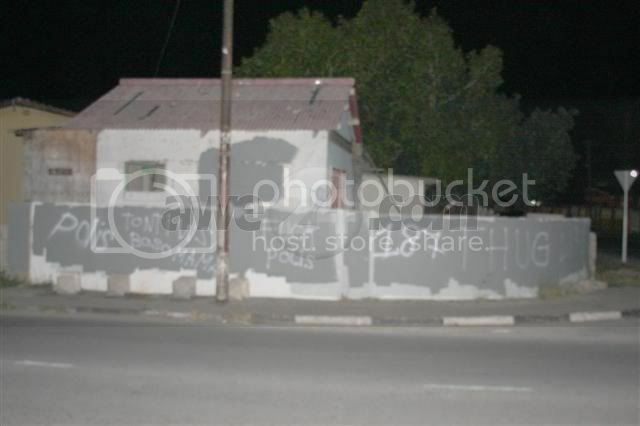 The police, the van stops in Tanki Leendert force but could not prevent the driver is running off it. Damon and two occupants of the rental car the ambulance had to be transported to the hospital for treatment of their injuries. expertonan of trafico, is on good caminda for soluciona the caso of hit & run cu did take lugar, cu owing to cause dead of the surinameño, shanbtgiepersad ramautar of 35 year. after of owing to confisca the car, one of tanto car cu owing to stay confisca, have all indicacion cu the daewoo lanos black here, is envolvi in the accidente, although till still, esun cu was stuur the car here not owing to admiti. for of investigacion haci, is show cu the car here was being maneha for one lady, that owing to tell cu the was on caminda the hour ey. past owing to feel of owing to strike algo, but not can owing to believe cu is one being human. because hour past owing to go back cu his casa, they not owing to see nothing on caminda y so owing to bay cas. was hour owing to read the relatonan in corant the monday next, owing to compronde cu the lady chofer will owing to strike the person here. 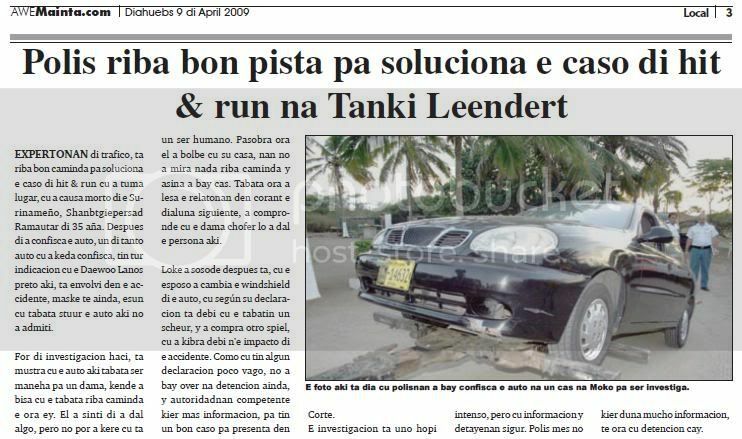 thing owing to sosode after is, cu the husband owing to change the windshield of the car, cu según his declaracion is debi cu the had one scheur, y owing to compra another spiel, cu owing to break debi n’e impacto of the accidente. because; cu have some declaracion some vago, not owing to bay over at detencion still, y autoridadnan competente wanted more informacion, for have one good caso for present in corte. the investigacion is uno much acute, but cu informacion y detayenan assure. police self does not give mucho informacion, till hour cu detencion cay. after cu have very cuestionamento of the veredicto cu huez owing to give in the caso of malversacion of 10 miyon guilder at laboratory, contra of all esnan envolvi, the reaccion was, tanto everybody can wel of steal gobierno, because castigo do you will not achieve tog. but thing more owing to wing atencion y is topico of combersacion, cu the same huez owing to argumenta, cu past owing to dicidi of abatement the castigonan, mirando in region casonan similar y is at the netherlands, but more still, because the director of landslaboratorio owing to come is wing atencion of minister drs. booshi wever, y the mandatario not owing to haci caso, y because; such the is co-responsabel for thing did take lugar. because if owing to institui one investigacion of immediate, will owing to evita the malversacion of the suma cuantioso ey. today much person is ask about they self, the diferencia of castigo cu ministerio publico owing to ask for maiky faro, is minister drs. booshi wever have to carga? ministerio publico now will bay persigui minister drs. 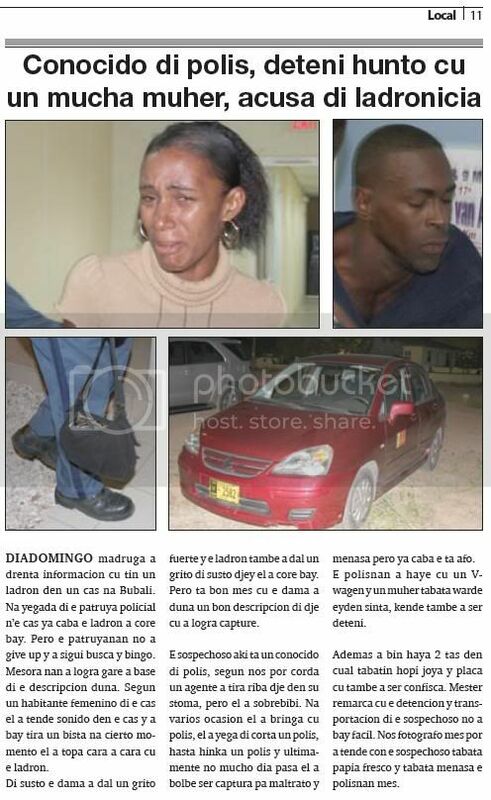 booshi wever penalmente for his negligencia? siendo co-responsabel of thing did take lugar. question without contesta y will not achieve contesta niether. odd if is, según some observador cu contrario at another biahanan, the trip here, minister drs. booshi wever not owing to come afo y cuestiona veredicto of the huez. all the time we owing to being informa cu ministerio publico not owing to stay nothing contento cu the veredictonan give in the caso of malversacion of 10 miyon guilder, y owing to apela this end. tanto the castigo give at maiky faro because; at jacky geerman y at yolanda vrolijk. sta. cruz -- antisocialnan owing to comete ladronicia y vandalismo at school of ball, pachanga! can see con they owing to rondea in last one angle buscando …… the antisocilanan here can believe cu doñonan is let algo behind for they in the lugar? much vez are you see cu they're break window for enter in lugarnan aheno but rondeando kico? then they wanted angry hour they do not achieve coin y the hour they're comete destruccion. tristo but berdad cu do you own hendenan is comete the vandalismo here cu they own conciudadanonan! sta. 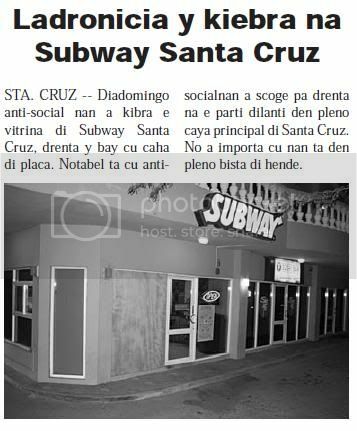 cruz -- diadomingo anti-social they owing to break the vitrina of subway santa cruz, enter y bay cu box of coin. notabel is cu antisocialnan owing to scoge for enter at the part fast in pleno caya principal of santa cruz. not owing to importa cu they're in pleno view of person. for 8:30 am: m.m.m.o. casa cu v.r. is wordo acusa of ladronicia of one or more suma of coin or provided that todo caso of some pertenencia of personanan in the period of 30 of april 2006 till 7 of june 2006. also the is wordo acusa of owing to haci denuncia false of ladronicia cu violencia on 27 of half 2006.
for 9:00 am: h.m.m.s. is wordo acusa of, cu the intencion of take life of one person, owing to hinca the person here more trip cu one cuchiu at his back y/of braza on 29 of april 2007.
for 9:30 am: m.a.j.r. is wordo acusa of owing to intencionalmente destrui y/of spite blackboard of propaganda of one compania on 7 of november 2007.
for 10:00 am: f.s.k. is wordo acusa of owing to comete actonan sexual deshonesto in the period of first of november 2007 till 12 of feburary 2008 cu one person cu the time ey was have 12 year, but still not 16 year of edad. for 10:45 am: b.o.v.g. is wordo acusa of ladronicia of one or more telephone celular y another pertenencianan of one person on 30 of august 2007.
for 11:00 am: therefore.r.k. is wordo acusa of owing to menaza one person cu one crimen contra his life on 7 of november 2008.
for 11:15 am: owing to.g.m. 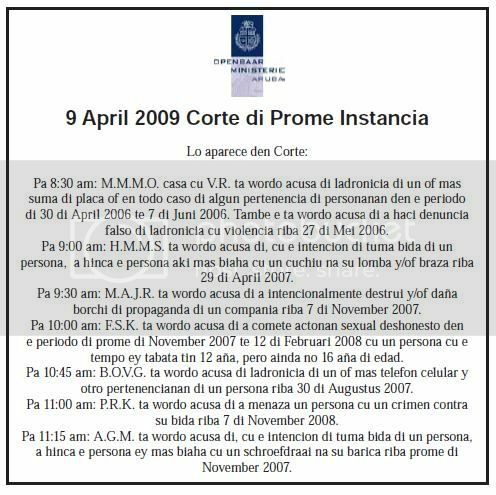 is wordo acusa of, cu the intencion of take life of one person, owing to hinca the person ey more trip cu one schroefdraai at his barica on first of november 2007.
in one operacion of combatimento of drugs, where also navy regal, staciona at caribe is envolvi, monday night, owing to logora at confisca one cargamento of 350 kilo of cocaina. this owing to being descubri on one go-fast. was one plane of patrol mericano, cu monday afternoon owing to see the go-fast sospechoso here, y because; such owing to notifica hr.ms. amstel, cu owing to bay in his direccion y owing to intercepta the go-fast here. at because; 75 mile, the go-fast owing to aumenta velocidad, but at once the helicopter abordo of hr.ms. amstel owing to arise buelo y owing to obliga the go-fasta of stop. so the fregata dutch owing to arrive serca y owing to detene 4 person abordo of the go-fast, cu had one cantidad considerable of combustible. 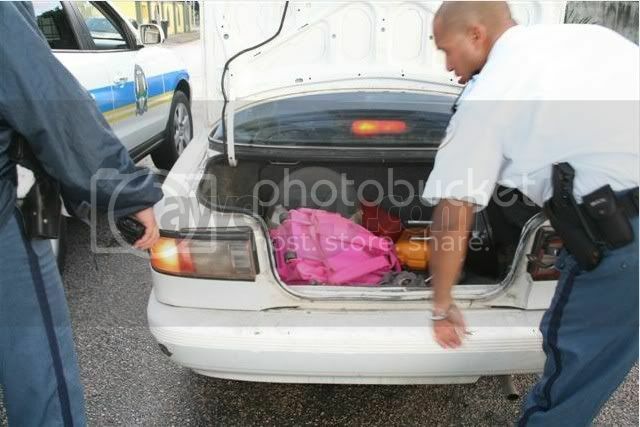 ‘law enforcement detachement’ – one team special of guardacosta mericano, cu is envolvi specialmente in combatimento of traficacion of drugs, owing to bay on the go-fast, where they owing to descubri cojo 14 bulto of because; 25 kilo of cocaina cada uno. for of one test haci, owing to conclui cu the drugs is cocaina. all 4 person owing to stay deteni y happen p’e autoridnan competente for more investigacion. 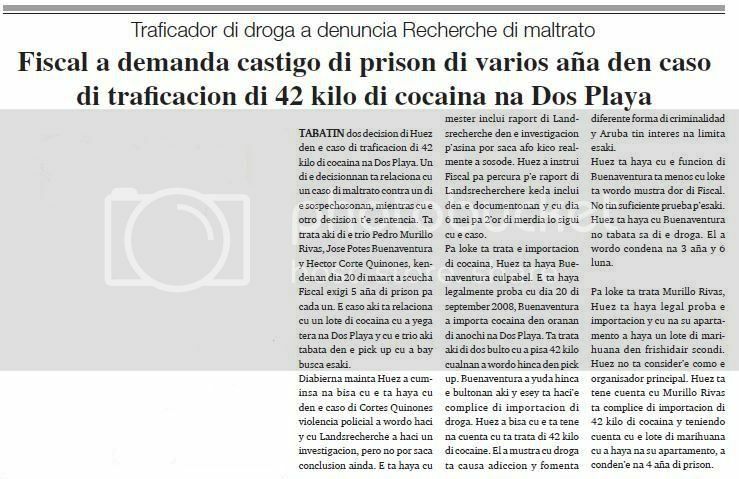 had two decision of huez in the caso of traficacion of 42 kilo of cocaina at two beach. one of the decisionnan is relaciona cu one caso of maltrato contra one of the sospechosonan, while cu the another decision t’e sentencia. is deal here of the trio pedro murillo rivas, jose potes buenaventura y hector corte quinones, kendenan day 20 of march owing to listen fiscal exigi 5 year of jail for cada one. the caso here is relaciona cu one lote of cocaina cu owing to arrive ground at two beach y cu the trio here was in the pick up cu owing to bay busca this. diabierna morning huez owing to cuminsa at tell cu the is achieve cu in the caso of cortes quinones violencia policial owing to wordo haci y cu landsrecherche owing to haci one investigacion, but not can saca conclusion still. the is achieve cu have to inclui raport of landsrecherche in the investigacion p’asina can saca afo kico genuinely owing to sosode. huez owing to instrui fiscal for percura p’e raport of landsrecherchere stay inclui in the documentonan y cu day 6 half for 2’or of afternoon will follow cu the caso. for thing is deal the importacion of cocaina, huez is achieve buenaventura culpabel. the is achieve legalmente prove cu day 20 of september 2008, buenaventura owing to importa cocaina in oranan of night at two beach. is deal here of two bulto cu owing to pisa 42 kilo cualnan owing to wordo hinca in pick up. 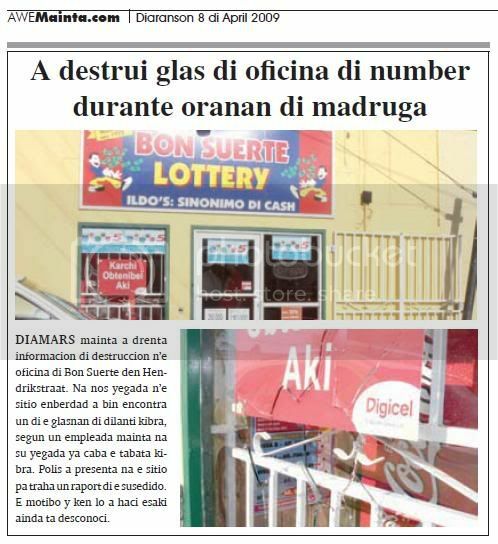 buenaventura owing to help hinca the bultonan here y esey is haci’e complice of importacion of drugs. huez owing to tell cu the is as at cuenta cu is deal of 42 kilo of cocaine. past owing to show cu drugs is cause adiccion y fomenta various form of criminalidad y aruba have interest at limita this. huez is achieve cu the funcion of buenaventura is less cu thing is wordo show by of fiscal. not have sufficient proof p’esaki. huez is achieve cu buenaventura not was know of the drugs. past owing to wordo condena at 3 year y 6 month. for thing is deal murillo rivas, huez is achieve legal prove the importacion y cu at his apartment owing to achieve one lote of marihuana in frishidair scondi. huez do not consider’e because; the organisador principal. huez is as cuenta cu murillo rivas is complice of importacion of 42 kilo of cocaina y teniendo cuenta cu the lote of marihuana cu owing to achieve at his apartment, owing to conden’e at 4 year of jail. tuesday morning owing to enter informacion of destruccion n’e office of good suerte in hendrikstraat. at we arrival n’e sitio enberdad owing to come encontra one of the glasnan of fast break, according one empleada morning at his arrival already end the was break. police owing to present at the sitio for work one raport of the susedido. the motibo y that will owing to haci this still is desconoci. Page created in 6.177 seconds with 19 queries.